While most people associate the fall season with changing leaves, cooler nights, and being back in school, we at Selby Acupuncture have something additional in mind: conference & event season! Our schedule is full of exciting events that we want to share with you. This is a guaranteed source of fun and education for parents both new and soon-to-be that takes place at the Capitol Hill Magnet Hill school in St. Paul. It runs from 9:30am to 3:00pm and is full of expert speakers, educational events and exhibitors that offer healthy and empowering products and services. And, it’s FREE! Find all of the details at Birth & Baby’s website. If you go, stop by our table to say hi! We strongly support Resolve’s dedication to informing and supporting those going through infertility or the adoption process. This all-day event will give attendees the opportunity to learn directly from a broad range of professionals including medical experts, counseling professionals, attorneys, adoption agencies, and others. This event is held at Normandale Community College in Bloomington. For more details and to purchase tickets, visit Resolve’s website. We would love to see you there! We are very excited to be a part of this two-part event being held at the Northrup from 5:00 to 9:00pm. The first half is a festival that features music, interactive wellbeing activities (including acupuncture by our very own Kennedy & Deborah! ), therapy animals, and more. The second half is guaranteed to be a fascinating program presented by international wellbeing expert Dr. Mary Jo Kreitzer and Minneapolis-based performer and author Dessa. MPR’s Kate Moos will also moderate an interactive Q&A. We hope you can join us for this entertaining evening- tickets are available now! Find more information and purchase tickets at U of M’s Northrup website. 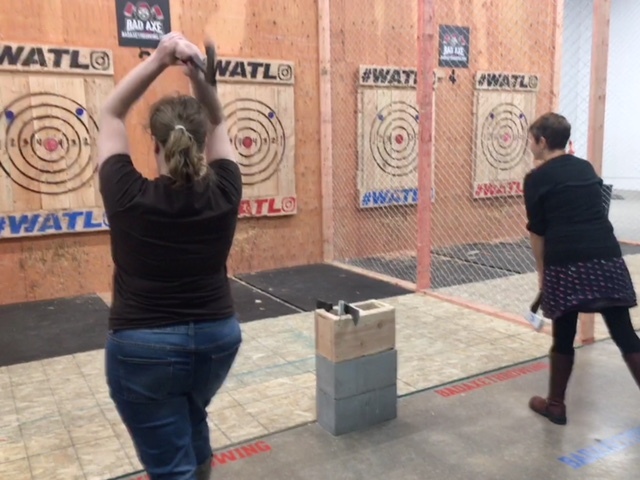 And Sometimes We Throw Axes! 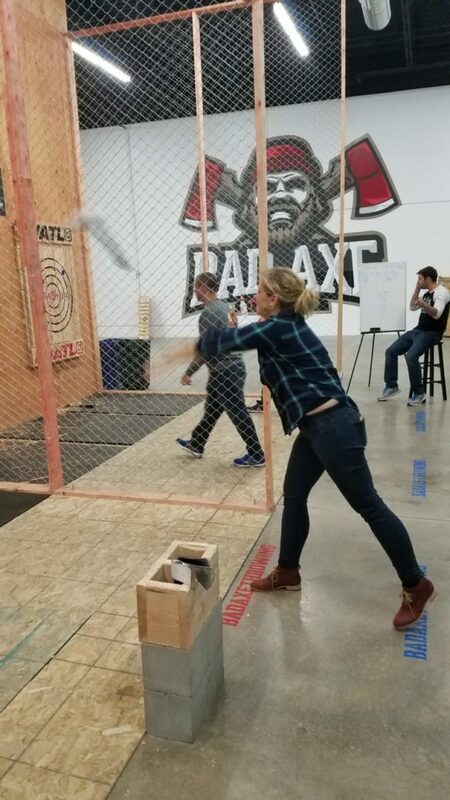 Like any good staff party, you need a balance of good conversation, tasty food, and … axe throwing! 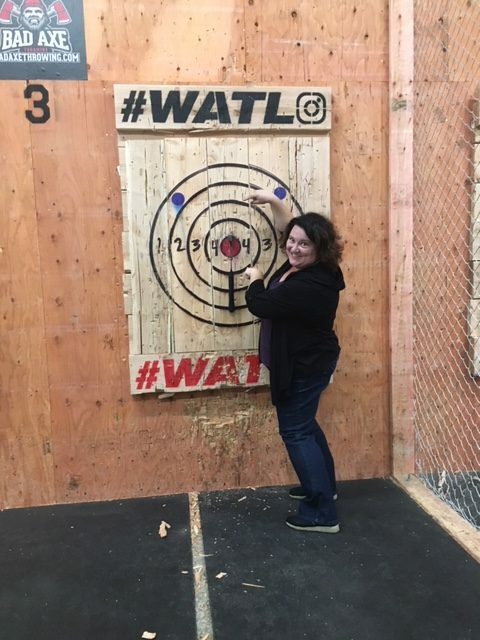 Our latest (and possibly greatest) staff outing to date was our recent trip to Bad Axe Throwing, where we learned to hurl freshly sharpened axes at wooden targets. Believe it or not, a few of us ended up having quite the arm for this new sport. Who would have thought that this sweet group of acupuncturists and staff would be such Bad Axers? All of your friends at Selby Acupuncture wish you a happy, healthy, cozy Fall!